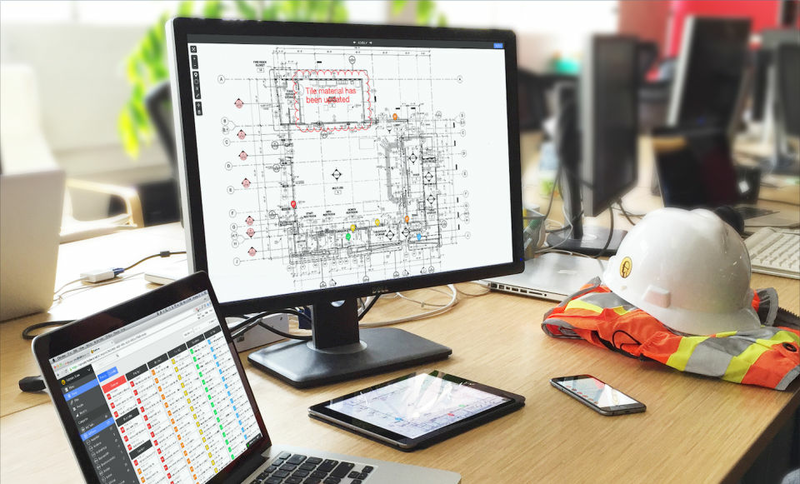 Fieldwire is a Construction Management tool used to assign tasks, work from up-to-date drawings, and align the field and office, all from any device. 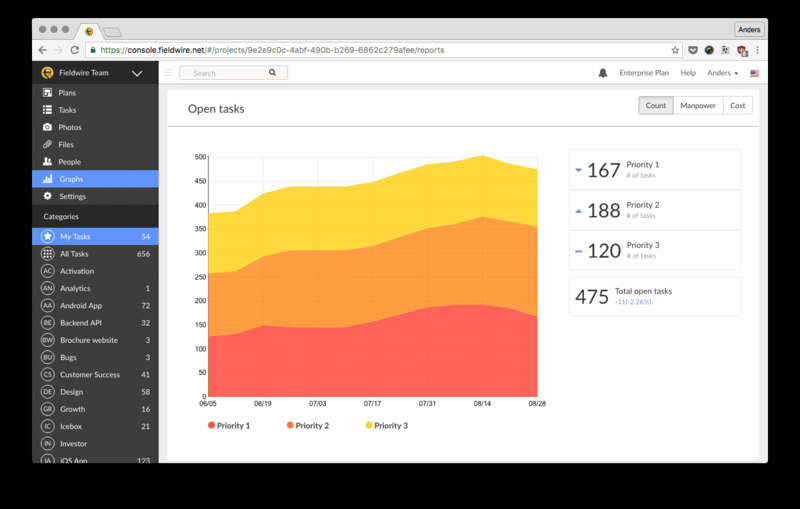 Schedule upcoming work and capture information to automate the workflow. Contractors, Designers, Architects, and Engineers make use of the software. How much does Fieldwire cost ? 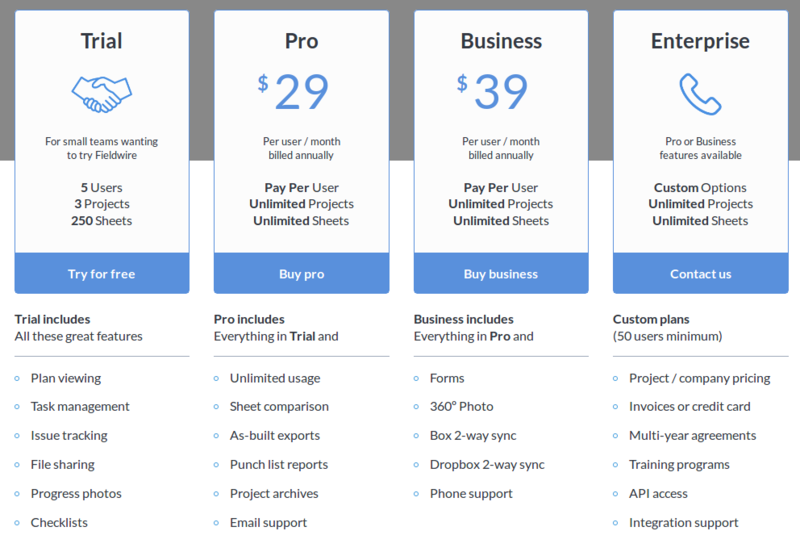 The pricing for Fieldwire starts at $29.0 per user per month. Fieldwire has 2 different plans such as - Pro at $29.0 per user per month and Business at $39.0 per user per month. Fieldwire offers a Free Plan with limited features. They also offer an Enterprise Plan for their product. 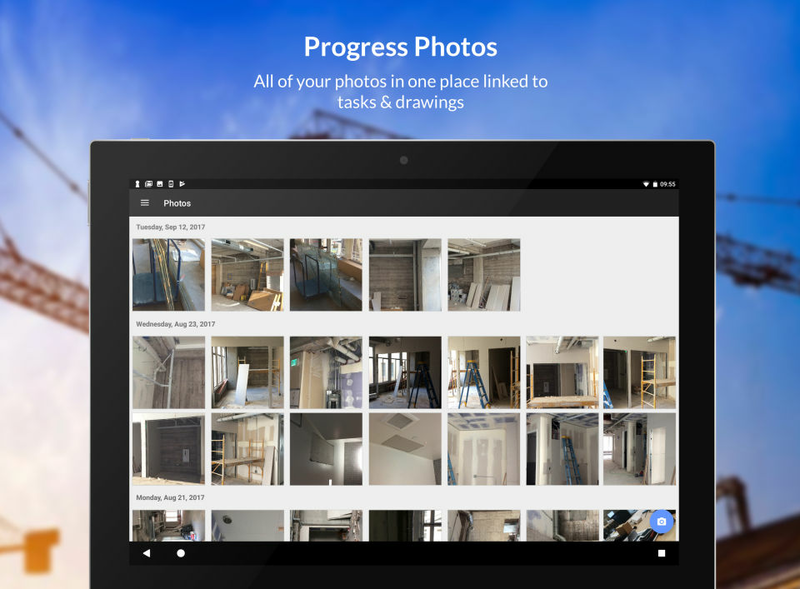 "Best app on the market"
That you can easily add tasks and picture with locations on drawings very easy to track builders work and very fast to send information to people who are on site day by day . "simple and easy to work on"
i can not really say becouse there are other features which i think once i paid they will be onboard like sharing,printing ect. 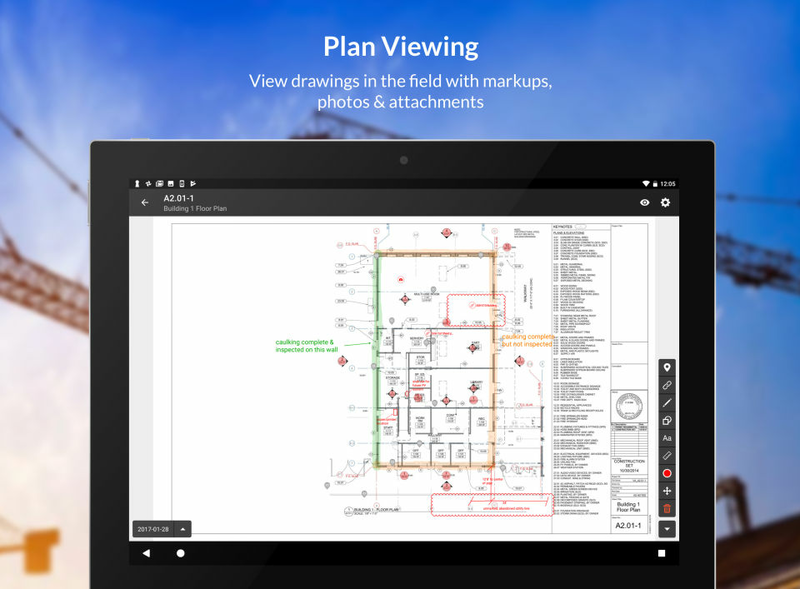 Easy of use from adding plans to people, seamless transition from files to Fieldwire. Great app. I will let you know when I find something. Priceless app, saves time for the crews in field and office. Try the app you’ll be glad you did. Time from the field to office and back has been cut to minutes instead of hours. Crews in field or office have real time access to information. "I really enjoyed working with this app it makes my job and coworkers a lot easier ." I like the fact that I can work real time with coworkers and communicate instantly load pictures make changes between us, all of it, works wonders! Drains my phone battery. That is the only complaint I have. We complete unfinished work on installs, stuff that had been put on hold for some reason can get resolved like now. "Awesome software for all your construction management "
I like the easy interface of uploading and arrangement of files and it saves me a lot of space on the back seat of my truck, in the pass my truck was full of paper drawings but now everything its on the palm of my hand by just upload it to Fieldwire. The only thing that i dont like its when I download a job over cellular signal, the drawings are kind of blurry, you have to download over wi fi to get it clean but that’s not really a big issue. I highly recommend Fieldwire is been a great tool and its been improved my job in the field a lot and you’re saving some trees By not needing to print paper plans. I don’t have to run to my office to print drawings! Once i get them i just upload it to Fieldwire and when i get a revise drawings i can easily compare it with the old ones since its too easy to jump from new to old version with just a slide of the finger. Pros: The ability to have access to all the information supplied to the team, with the ease of access from mobile devices. Its almost better than having the actual paper version! Tasking ability, creating plan sub folders, individual naming of drawings, hyperlink and photo options, its a great tool and has worked great for our team with more that 240 plans uploaded. Cons: Closer zoom would be nice and maybe creating a way to more accurately measure with select points of that which needs measuring. Other than that everything has worked great! Overall: Having the ability to measure rooms for cable lengths to connection points, measure for pass through supplies, ceiling grid layout for speaker installation, ceiling types for equipment in those areas, glass store front dimensions for scheduling systems and file access per room needs. Pros: Easy to use once you learn the software. 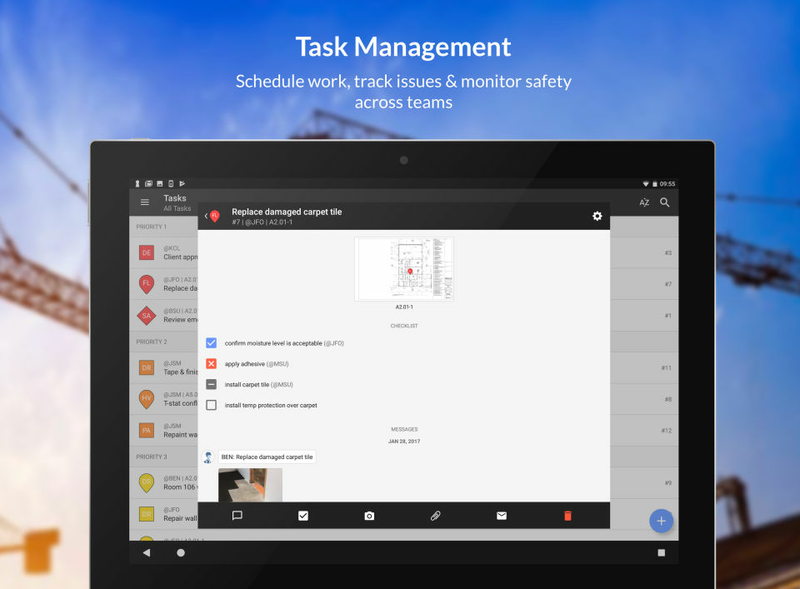 It makes you look professional and organized while in meetings, on the job site, etc. Cons: There needs to be a way to edit or mark sheets within the "file" portion of the software. Overall: I enjoy using this software in the field with my foreman and superintendents. When plans are updated or i need to send information to the field, i can do so quickly! 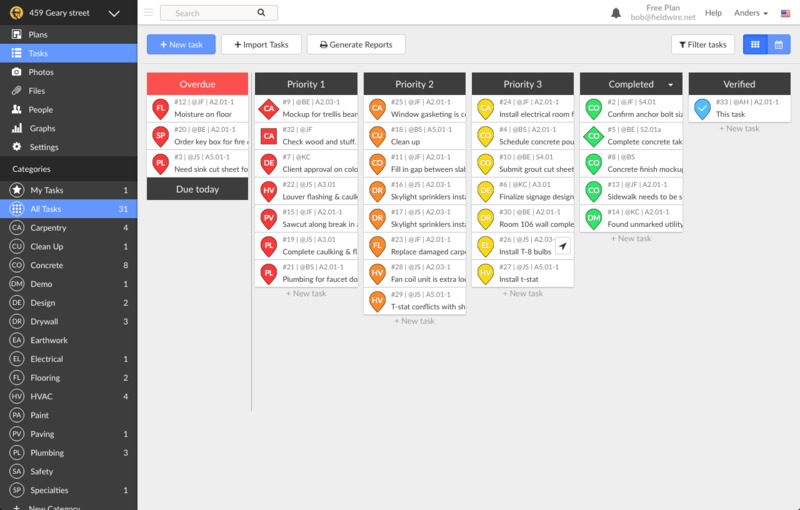 Fieldwire would be the solution for Issue tracking and documentation control on a project. Pros: Fieldwire offers platforms for estimating, scheduling, puchlist and issue tracking. 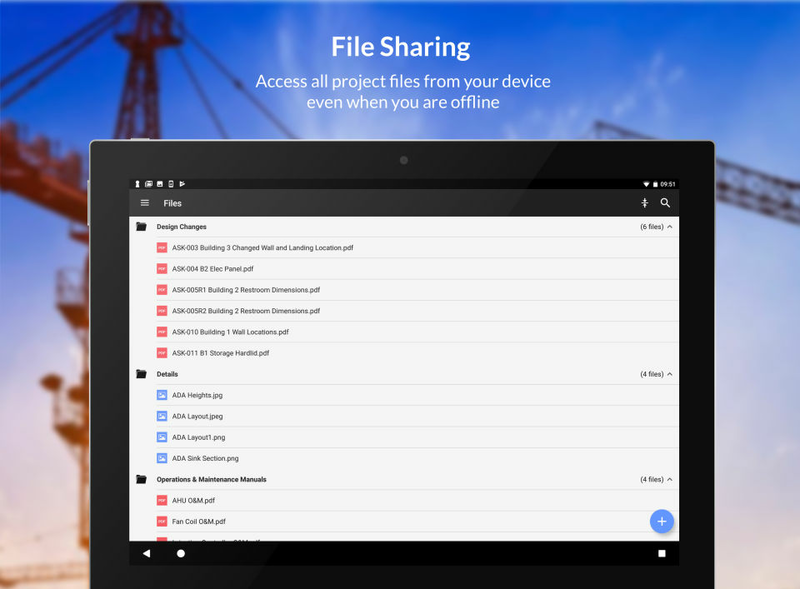 Its very helpful for documentation control . Its easy to contact support and its relatively cheaper. Organizations can choose the pricing packages based on users and functionality. Cons: Hyperlinks and links within sheets is a problem. Fieldwire is not compatible with 3D model views in Assemble. Its less integrated to other softwares.